The second Catholic church with historical ties in Aberdeen is St. Mary’s Church, which was also known as “St. Marien Kirche” when it was first founded in 1903 by Father Nicolas J. Dahlmanns in order to accommodate an influx of German immigrants from Russia. 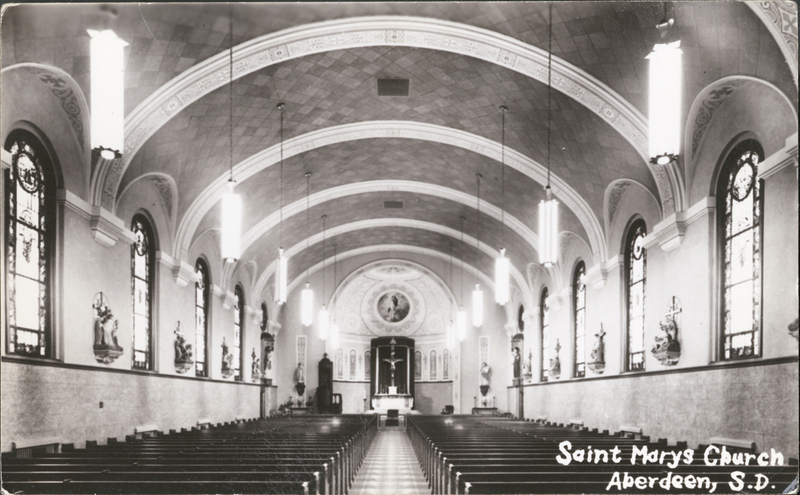 This additional establishment made Aberdeen the only town in South Dakota with two Catholic parishes at the time. For a little bit of background on the congregation, apparently quite a few German colonists had moved to Russia in 1804 when Czar Alexander the first had asked them to develop agricultural settlements in some of the more primitive areas of his country. In return for this favor, he had guaranteed them and their descendants certain rights and privileges. In 1871, however, Czar Alexander II decided that the colonists didn’t really need those privileges anymore, so he revoked all of the laws involving them. Understandably, the colonists were not at all happy with this new development, so they opted to immigrate to the New World, where quite a few of them ended up in Aberdeen, South Dakota. An inside view of the newer St. Mary’s Church. With an increasing congregation, the church was quite successful, so in 1911 they built a parochial church so that the immigrants could get an education. (Many years later, the school has now undergone a consolidation process with Sacred Heart School to become Roncalli, built as recently as 2004.) 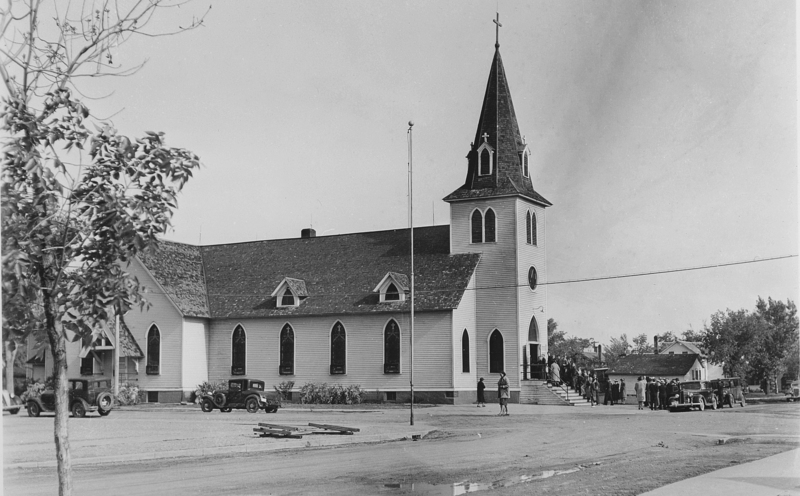 The church continued to grow, and in 1941 they were able to build the new church that stands today for $100,000 that contains seating for eight hundred people. The old church building was used for a long time as a parish hall and youth center, but in 1974 it was torn down for salvage when it was condemned by city and state officials. The newer church, however, continues to survive and can be visited at its current location at 402 2nd Avenue NE here in Aberdeen.